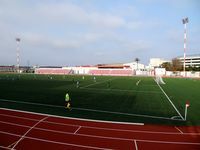 The current national (and only!) 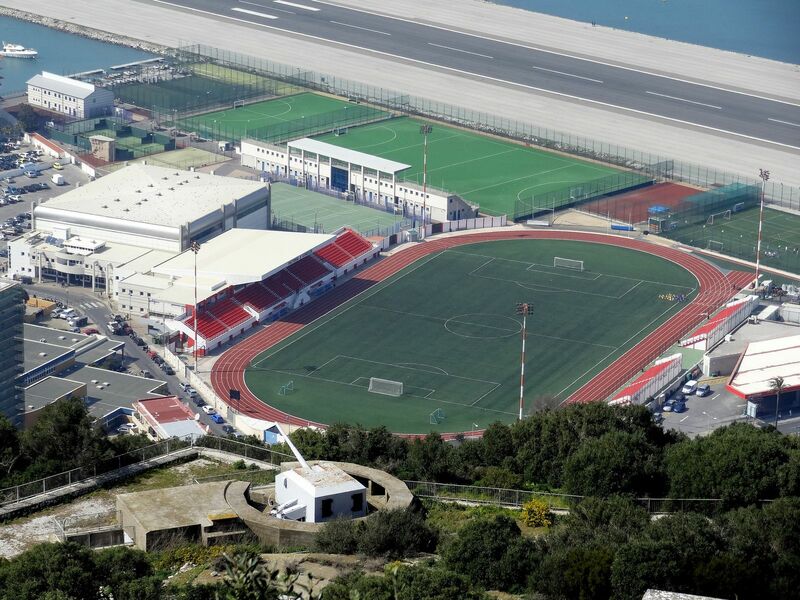 stadium in Gibraltar lies just 200 meters from the territory’s northern border, across the fence with local international airport. 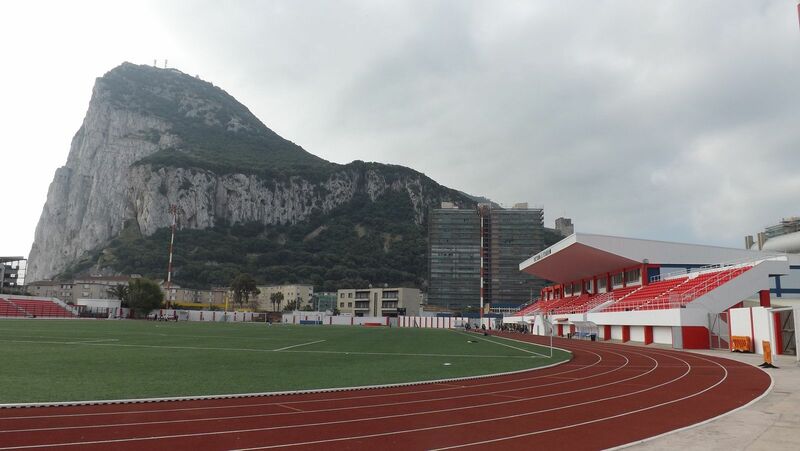 The latter is why floodlight masts have additional colour/light marks. 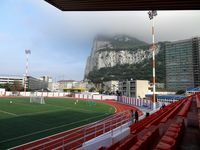 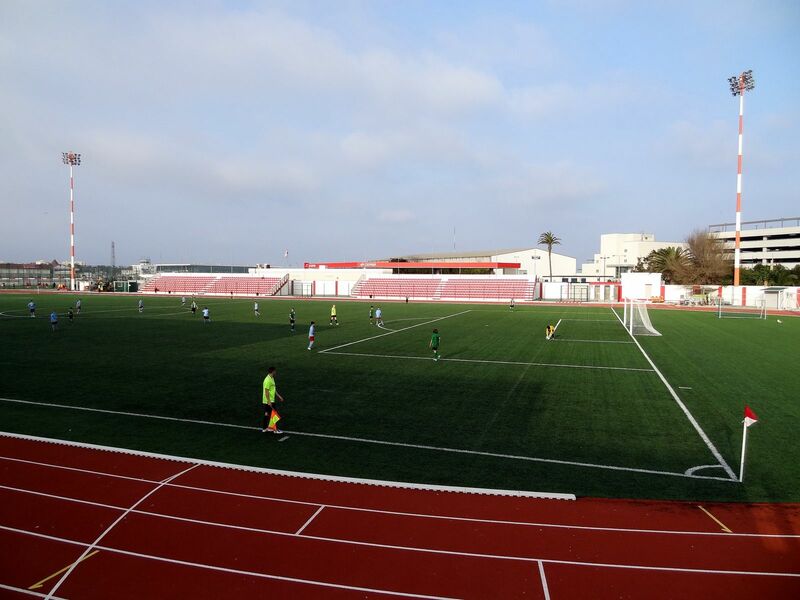 Being the only stadium in Gibraltar, the ground houses all games of local leagues on its synthetic pitch. 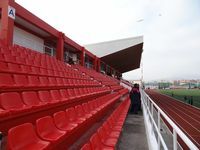 Up to 5,000 people can watch games on the main grandstand and two side stands in the east, a number that would be much smaller if seats were installed. It’s the heart of largest local sports complex and gives a stunning view of the Rock of Gibraltar south. 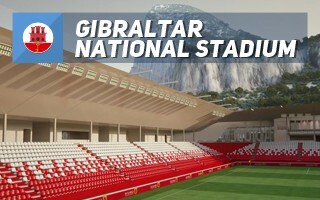 After Gibraltar’s inclusion to UEFA in May 2013 the idea of a new international stadium appeared. 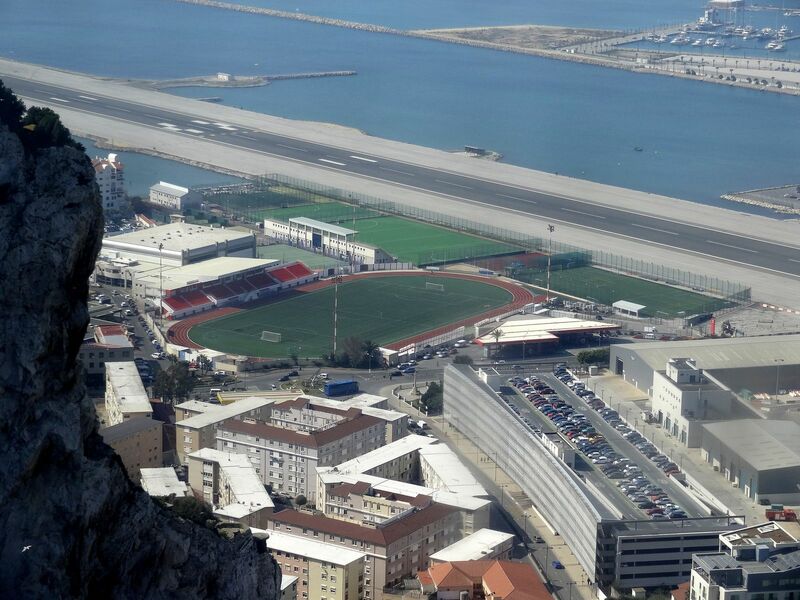 It would be situated on the other end of Gibraltar, in Europa Point. 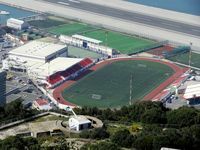 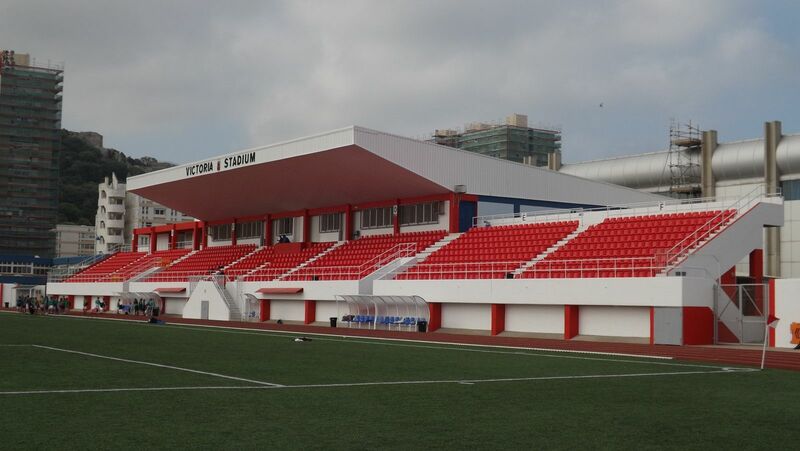 The current stadium cannot hold international games, forcing Gibraltar to play in Spain. 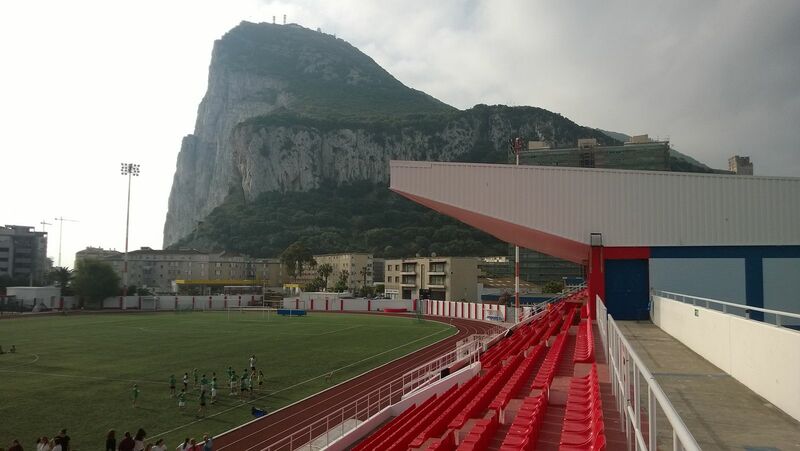 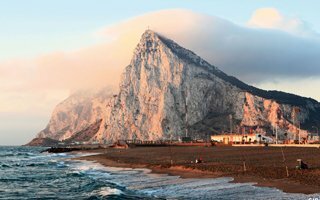 Is this it for Gibraltar? 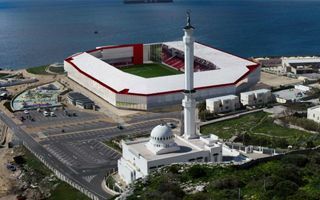 Unanimous support by the planning department surely seems to indicate it! 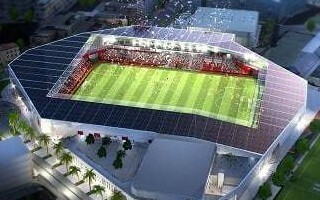 Outline planning permission was issued yesterday, the 8,000-capacity stadium is closer to fruition.